Humans have done it again. Despite all the warning and thousands of awareness programs, it seems like we have not yet learned to really leave animals as they are. Poaching and hunting continue even now behind the veil. The target that is now raising eyebrows is the Komodo Dragon. 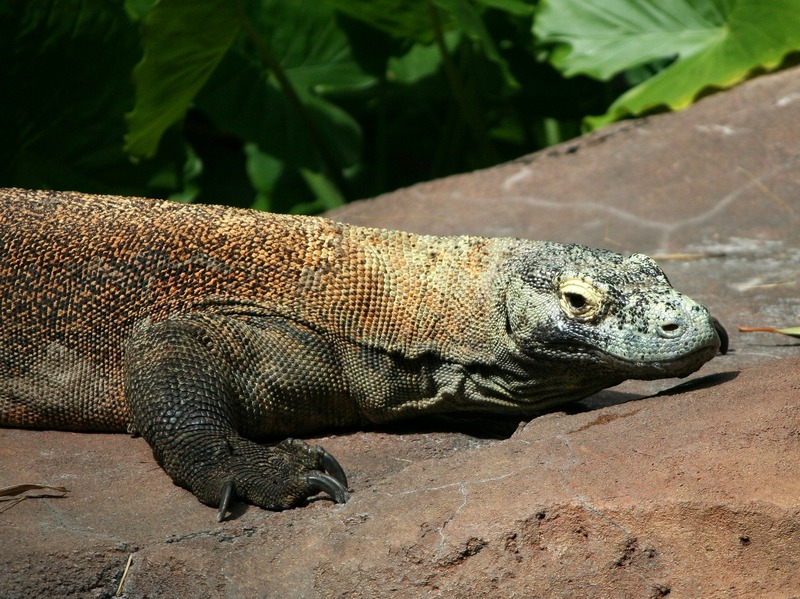 One of the most popular places to see these wonderful reptiles is the island of Komodo in Indonesia. Tourists are allowed here but probably due to the lax of security, many Komodo dragons were being stolen and smuggled out. Now, the government of Indonesia has stepped in and has announced that the Komodo Island will be closed down for about a year from January 2020 as per Tempo. It was decided after a meeting held with the Ministry of Environment and Forestry. Currently, the government plans to keep it closed for about a year. he government came to this decision after the East Java Police caught a smuggling ring which had stolen about forty-one Komodo dragons and was trying to trade them for about 500 million rupiahs, that is about AU $500 each on the international black market. The head of the special crimes unit of East Java Police, Senior Commander Akhmad Yusep Gunawan, claims that they had rescued about five baby Komodos from the reported animal smuggler. According to the Akhmad, these criminals were trying to smuggle these reptiles to three different countries present in Southeast Asia, and their route was going through the country of Singapore, as mentioned by The Jakarta Post. Moreover, 5 smugglers were arrested for trafficking other animals along with the Komodo dragons – cockatoos, cassowaries, and bearcats. The dragons were to be sold online through social media -Facebook, according to the police spokesperson Frans Barung Mangera. Rofiq Ripto Himawan, a police commissioner, mentioned to Channel News Asia that the Komodo dragons were in demand among the people of Asia because they are used to make traditional medicine. They are also used to develop antibiotics. The problem is: Komodo dragons happen to be one of the most endangered species present on this planet. It is only in the UNESCO World Heritage Komodo National Park present in East Nusa Tenggara that these reptiles could be found living in their own natural habitat. It was open for tourists to come and see how the reptiles lived peacefully in their habitat. But due to this constant smuggling, these areas will be closed down by the authorities. The rest of the region will remain open to the public. If we look at it logically, then this is a great step towards the conservation of Komodo dragons that is being taken by the government. As of now, the UNESCO states that only around 5,700 dragons are present around the park. That is quite a low number and without proper protection for the dragons to increase their population, this species might end up on the extinction list soon. It’s a great thing to see governments taking a step ahead in the preservation of animals but that’s not enough. We need to participate to build a better future where we and animals could live together without breaching into each other’s territory for personal gains.
? Young Man Fills Potholes And Receives Cannabis, Coffee, Cash From Grateful Locals Men Who Can’t Do 10 Push-Ups Are At Greater Risk Of Heart Disease, Say Scientists ?